The surname Jones, a holdover from the patronymic naming convention, means “son of John.” Celtic Welsh in origin, it emerged in the years following the Norman conquest of England in 1066, as the practice of using surnames was introduced into society. The first documentation of the name Jones is found in the 1279 Hundred Rolls of Buckinghamshire, which lists a Matilda Jones in Huntingdonshire, England. Today, Jones is one of the most popular surnames in the world, particularly in England and Wales, where it ranks as second and first most common. It is also, according to the most recent census data available, the fifth most popular surname in the U.S. In Ireland, however, it is far more rare. It was introduced into Irish culture as people by the name Jones began to migrate to Ireland, particularly after the Anglo-Norman invasion of 1170. Some early Joneses of note in Ireland include Lewis Jones, the Bishop of Killaloe from 1633 to 1646, and George Jones, the Bishop of Kildare from 1790 to 1804, both of the Church of Ireland. Today, the name is dispersed fairly evenly throughout the counties, and is also sometimes seen in its Gaelicized form, MacSeoin. 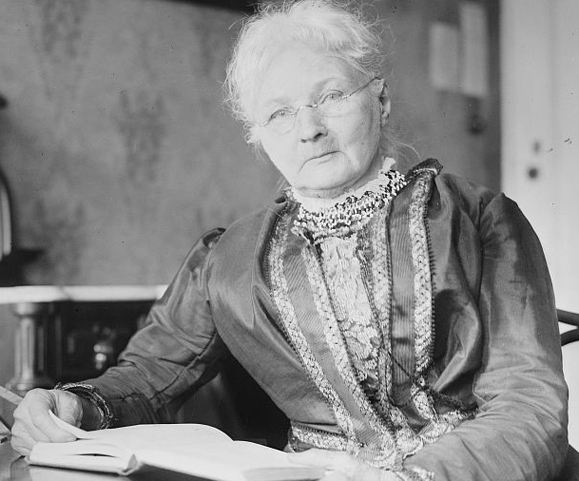 One of the most famous Joneses is self-proclaimed hell-raiser Mother Jones (1837–1930), the Irish union and labor activist, once called “The most dangerous woman in America.” Born in Cork, Mary Harris Jones immigrated to Canada with her family as a teenager, and then worked as a teacher and dressmaker in Chicago and Memphis. After losing her husband, George Jones, and their four children to a Yellow Fever epidemic, and then losing her home and dress shop in the Great Chicago Fire, she joined the Knights of Labor and later the United Mine Workers. She worked tirelessly and effectively to organize miners, as well as their families, to protest. She was also a crusader for strengthening child labor laws. Though a Jones by marriage rather than birth, her strength, courage and enduring legacy are a credit to the name. James Earl Jones (b. 1931), one of America’s most esteemed and beloved actors, is of Irish descent. Jones’ maternal grandfather, John Henry Connolly, was the grandson of an African slave and an Irish indentured servant. He and his wife raised Jones and his siblings on their farm in Michigan, where Jones moved at the age of 5. Jones got his start in acting at the Ramsdell Theater in Manistee, MI. A star of both the stage and screen, he is especially recognized for his Shakespearian roles and for lending his deep, sonorous voice to Darth Vader in the Star Wars films. Another celebrity Jones of Irish descent is Catherine Zeta-Jones (b.1969). The star of many films including Entrapment and Chicago, Zeta-Jones is Welsh and has Irish roots on her mother’s side. James Jones (1921–1977) was a prolific writer, famous for his novels in response to WWII. Born in Robinson, Illinois, he went on to serve in the U.S. Army, where he witnessed Pearl Harbor and fought in the Battle of Guadalcanal. His war trilogy, From Here to Eternity, The Thin Red Line and Whistle, drew on his experiences in the war. From Here to Eternity won the National Book Award for fiction in 1952 and was made into a film, which won the Oscar for best picture in 1954. Marie Jones (b. 1951), a native of Belfast, is one of Northern Ireland’s leading playwrights, highly acclaimed for her expert use of humor to shed light on much darker themes of Irish life. After working in Belfast as an actress in the ’70s, Jones helped to found Charrabanc, a theater company for women. Her 1996 play Stones in His Pockets has been produced all over the world and won two Olivier awards in 2001, one for Best New Comedy. Northern Irishman Steve Jones (b. 1976) is making a name for himself in the world of soccer. He has played for 16 clubs in England, Ireland and Scotland, and been capped 29 times by Northern Ireland. He currently plays for Telford United. Roscommon-born Adrian Jones (b. 1964), managing director in the Merchant Banking Division at Goldman Sachs and co-head of its Americas Equity Business (and this issue’s cover story), is our 2012 Wall Street 50 keynote speaker. The Jones family holds a special place in the English language, as the subject of the phrase “Keeping up with the Joneses,” which comes from a comic strip by the same name, created by Arthur “Pop” Momand. For one year, from 2006 to 2007, the Jones clan enjoyed the distinction of holding the Guinness World Record for the largest gathering of people with the same surname. On November 3, 2006, 1,224 Joneses gathered together in Cardiff, Wales, vastly exceeding the previous record of 583, held by the Norbergs of Sweden. In September, 2007, the Gallaghers stole the title, with a group of 1,488 in Letterkenny, Co. Donegal. But given the popularity and the perseverance of the Joneses, there’s a great chance they will re-claim the record once again. I’m a Jones who lives in America and raised in Virginia with a large family. My family are Joneses from Virginia. We maybe related. As it is a pretty large family. I’m a Jones from Monterey, TN. Looking for my roots. My father was Tony Jones Grandfather Flem Jones. I’ve been told by my brother Brian, that I am related to the Jones’ of Monterey TN. My group of Joneses occupies the hills of Unadilla, NY. I wish I had more of my family tree. I’ve been told all my life that I was of Irish decent Jones on my father side and swords on my mother side. I’m I Irish? I am from central Iowa and my g, g, grandfather, William Carl Jones, was born in Jonesboro, TN about 1829 and married in Illinois and died in Oregon. Our family history has been that we were from Wales, but we can’t prove it. The only thing that goes along with that is my g’father Thomas Andrew Jones and my dad his brothers were all coal miners in Iowa and North Dakota and steel workers which are prominent Welch occupations. When my brother had a DNA test done we were 32% Irish and 54% Scandinavian which comes from my mother’s Swedish background and some English and some trace. Now I wonder if are we from Wales or Ireland. I am a Jones. My great-great grandfather came from County Tyrone to settle in the US, finally becoming a farmer in Southern Illinois.